This is Rolleicord V,Va,Vb Type1 front part custom skin. You can replace the old and damaged original covering into the brand new coverings. 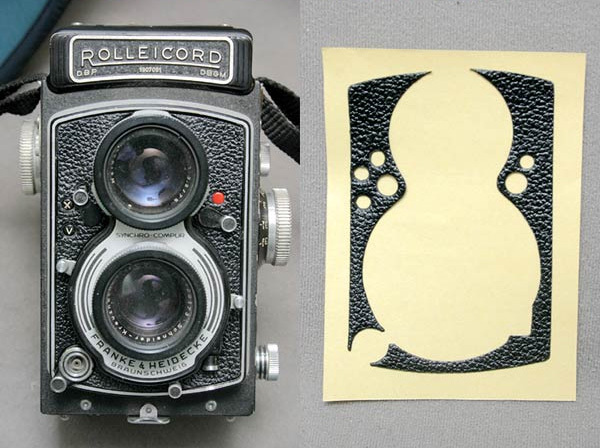 Many Rollei TLR's front skins are damaged since need to remove the front skin when you repair Rollei TLR. 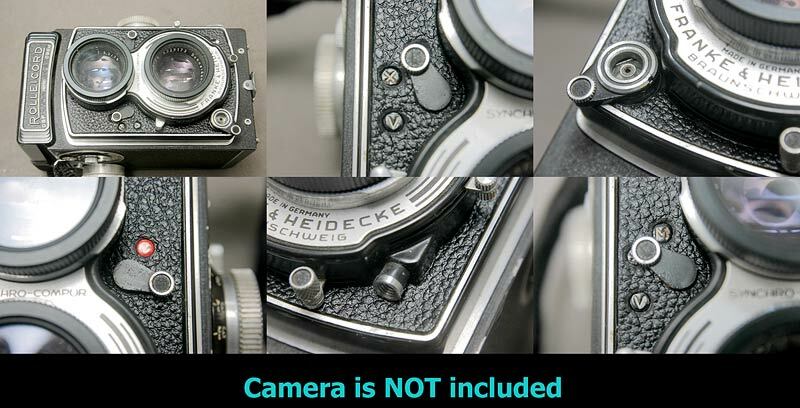 This item fits to Rolleicord IV, does NOT fit to the other Rollei TLR. The price is 11 USD. Shipping fee $4 US via registered airmail.